Phil Liggett M.B.E. awarded 2015 FT Bidlake Memorial Prize for a lifetime of services to cycling. 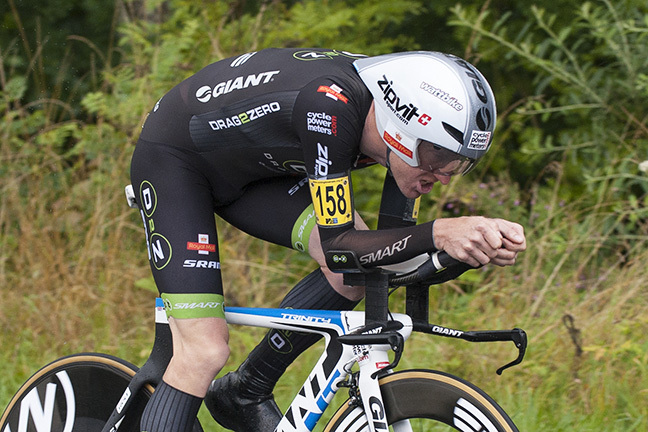 The prestigious 2014 FT Bidlake Memorial Prize has been awarded to British cyclist Matt Bottrill in recognition of his outstanding time-trial achievements throughout the year. Coalville-based Bottrill won the National 10, 25 and 50 Mile Championships, claimed the RTTC Circuit Championship and National Time Trial Series, was crowned Champion of Champions and broke three competition records over the course of the season. “I'm blown away by being awarded this, it's a massive honour,” said Bottrill. "It was really unexpected. A lot of people have done a lot of good results this year." "I'm over the moon because of what it means," Bottrill added. "You look down the list of past winners and everyone who is anyone has received this award: Reg Harris, Chris Boardman and, more recently Brailsford, Cavendish and Wiggins." The Bidlake Memorial Prize is one of the oldest awards in British cycle sport. It was established in memory of Frederick Thomas Bidlake, the man generally considered to be the father of time-trialling. It is awarded to the most outstanding performance or contribution to the betterment of cycling in all spheres. 38-year-old Bottrill, who combines top-level time-trialling with his day job as a postman, has been a fixture of the British scene for many years, regularly finishing on the podium in past seasons before becoming the dominant tester in 2014. "It's been a dream year; if I'd mapped it out, it couldn't have gone any better," Bottrill said. "I had to train really hard for all these races, but it's all gone so fluidly." "I'd worked a long time for a lot of it. Winning the National 25 was probably one of the best days of my career. It's been 18 years in coming, it was massive to finally take that." Bidlake Memorial Trust Chairman Andy Cook said: “Matt epitomises the true spirit of the very particular branch of UK time trialling. This is richly deserved for a true all rounder who displays many of the values adopted by FT Bidlake and maintains the strong traditions of domestic time-trialling." Bottrill’s award reads: “Awarded to Matthew Bottrill who won the Men's National Championships at 10, 25 and 50 miles, the RTTC Circuit Championship, breaking three competition records and being crowned Champion of Champions."